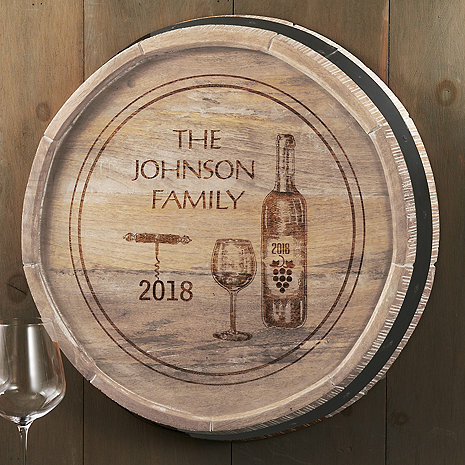 Show your love of the wine lifestyle with this Personalized Quarter Barrel Head Sign. Handcrafted of natural oak with metal ring. Can be personalized with Name and Year. Is the date on the wine bottle the same as the established date? I bought this as a gift for my husband and he loved it! it turned out really really. the painting was clear and the design was perfect.